“I have a passion for women’s rights and gender equality. I wanted to be able to help girls feel confident and know that they can do anything,” Anna stated. 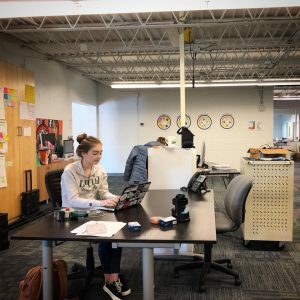 In her role as an intern here at PAST, Anna will be working with mentors on PAST’s Marketing and Social Media teams to learn how they build and share content for the #GWL campaign as well as assisting in capturing still and video imagery for the project. Anna will play an important role not only in content creation but will also be working with community leaders and students who would like to share their stories through the GWL project.